Transformers are complex yet they are the selected equipment used by most of the industries for smoother power supply. With the growing energy consumption and various mega infrastructure projects under construction, Africa needs to major its focus on expanding its power generation capacity. 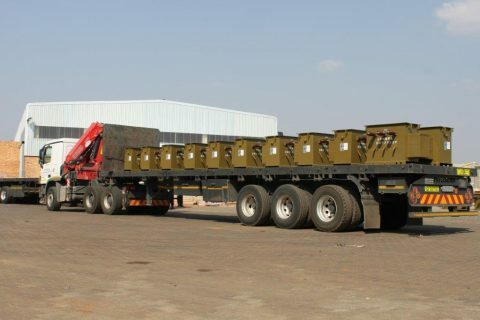 According to Andre Van Zyl CEO of Reliable Transformers a manufacturer of transformers in South Africa, the growing capacity and the ever rising power demands are consequently boosting demand for distribution transformers in Africa. Africa’s existing power grid and the new power transmission line is highly expected to fuel distribution transformers market growth due to the increasing number of foreign investment in the power sector. Presently, Africa depends majorly on hydropower projects for electricity generation. Therefore, distribution transformers are gaining significance due to the accelerated construction activities in the power expansion necessities for the transmission network to carry additional power. Distribution transformers are considered to be the best as they offer high voltage rating with the highest level of power. The most efficient way to transport power, is by the use of the highest available voltage, given that higher voltage equates to lower currents for a constant amount of power. Power produced at a utility power plant will alter voltage numerous times via transformers before reaching the end user; therefore, according to Abel Gilbert of Powertech transformers an expert in manufacturing, testing, installation and commissioning of a full range of power and distribution transformers from in Africa, a reliable and durable transformer is required at each point along the distribution path where a change in voltage is necessary. Mr. Sumeshan Padayachee of Revive Electrical Transformers one of the leading transformer manufacturers in South Africa affirms that, the distribution transformers market in Africa is worth around US$ 115m. Transformers can be in service for decades, and with such a long life span the operating cost can greatly exceed the initial price. This is why one should be very keen when choosing the right transformer for economic performance. According to Saleem Muhammad of PEL Group a manufacturer of distribution transformers in Pakistan, apart from making sure the transformer is tailored to meet your needs, one has to look at the proper size (capacity) and efficiency of the transformer; and efficiency means looking at both the core steel and the winding material. At times there can be a tendency to oversize the transformer capacity relative to the load it will actually see. PEL Group has offices in South Africa, Botswana and Swaziland. Distribution transformers play a key role in an electrical system’s efficiency and power quality, yet 95% of buying decisions are based solely on first cost. Buying based on life cycle cost would save literally hundreds of thousands of dollars in operating losses over the installed life for transformers. Therefore, users can lower energy rates and avoid high transformer losses by investing in energy-efficient transformers. Normally, transformers are wounded with copper wire, but they can as well be wounded with aluminium wire. The efficiency is almost the same and is cost-effective as well. Distribution transformers are widely used in electrical power supply and distribution systems. However, the basic concepts of the best distribution transformer, one has to consider the machines used in building the transformer, material used to design the transformer and how skilled are the workmen before purchasing the power machine. 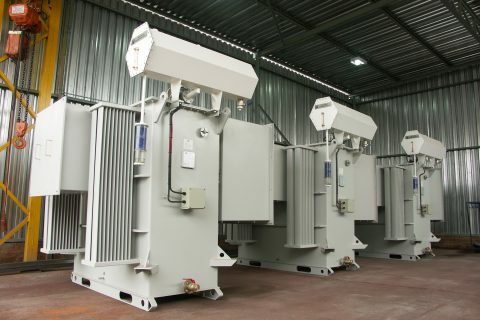 According to Aubrey Chabalala of Transformer Manufacturers a leading manufacturer of medium range electromagnetic distribution equipment in South Africa, transformers that minimize energy loss are quite expensive since they have a more complex design as compared to traditional transformers which are devoid of that function. Today, many untapped technologies have been invented to save energy and encourage the use of renewable energy sources. However, energy losses of distribution transformers account for almost one third of overall transmission and distribution losses. Even though the electricity demand keeps going over the roof in several African countries with the electricity system developing towards ‘smart grids‘, the most worrying question still remains, how will the integrated distribution grid system loss be minimized? 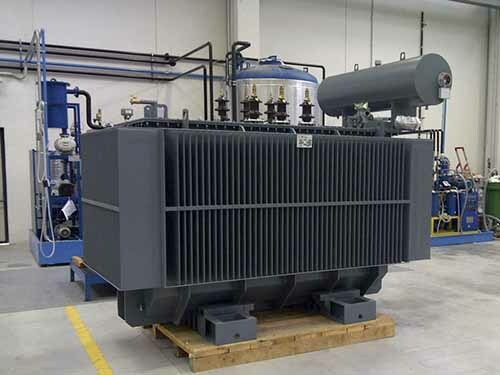 Since a wide variety of transformers serve different purposes, actual losses incurred in the field will vary substantially from one installation to another. Load level varies widely, with some installations running very heavily loaded and others more lightly loaded. This difference substantially affects actual losses incurred. Unlike other parts of the world, Africa has no mandatory standard on energy efficiency for the distribution transformers which could foster the realization of these cost saving potentials. Compared to saving potentials in other areas, the electricity saving potentials of distribution transformers in power industry and commerce seem to be small. Nevertheless, every contribution to climate change mitigation and energy security is necessary, particularly if it is economical. When energy savings are driving part or all of the justification for selecting a particular transformer, it is important that these savings are indeed present once the transformer is installed. This means commissioning the transformer for energy performance after installation. In fact, some rebate programs and other life cycle-oriented programs like Leadership in Efficiency and Environmental Design advocate for the ongoing product commissioning. In a nutshell, according to William van Wyk of Free state transformers a manufacturer of distribution transformers in South Africa, the African market is quite huge so customers must make sure before they buy from just anybody, they are well informed. Most importantly cut out the middle man and buy directly from the manufacturer. There is a lot to look into when making sure that you’re buying the right transformer for your needs. As the article points out, there are several benefits to using distribution transformers. After all, they can make sure that power is distributed to the widest area possible. That is really interesting that distribution transformers have been gaining significance since construction activities have been accelerated. If I were working for a construction crew, I would hope there were more distribution transformers. Maybe that is something that would be good for an energy company to get more of.